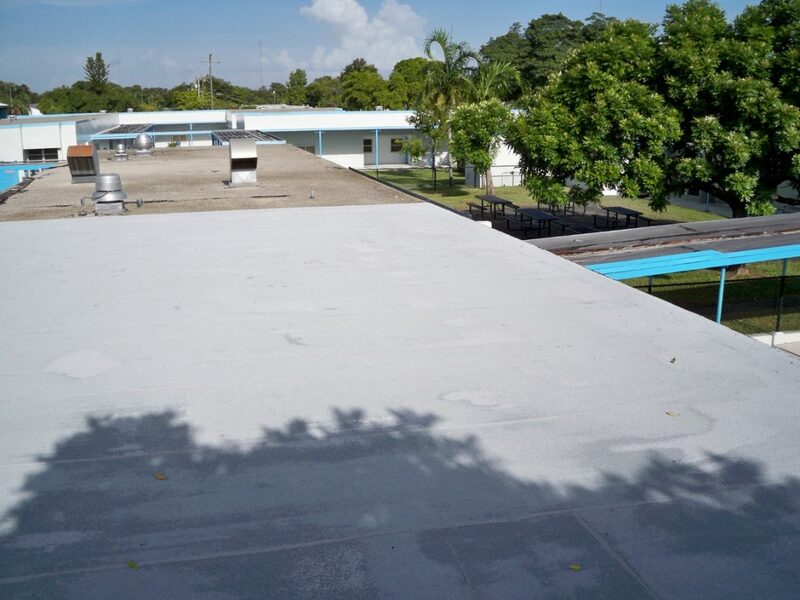 Gulfstream Middle School is located in Hallandale, Florida and was a project awarded to our company from The School Board of Broward County. 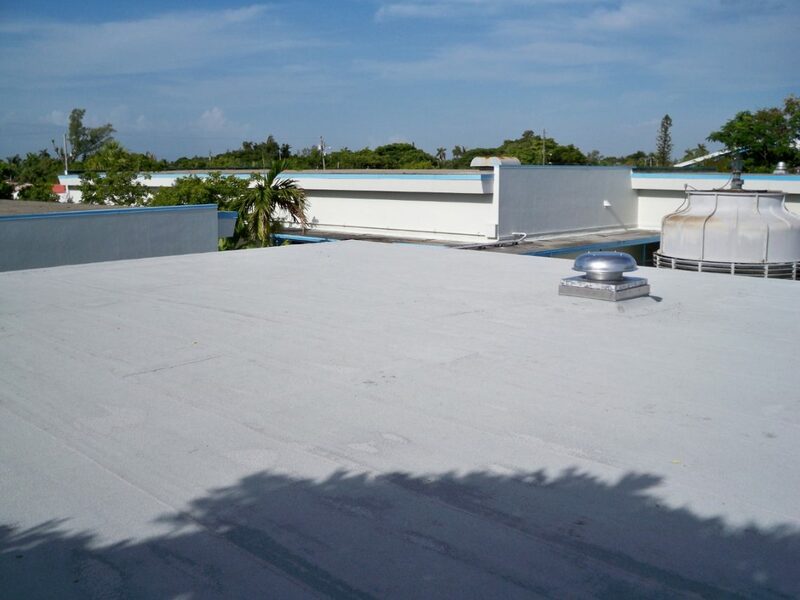 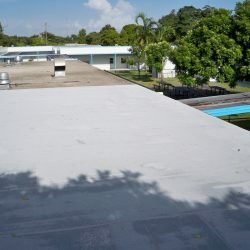 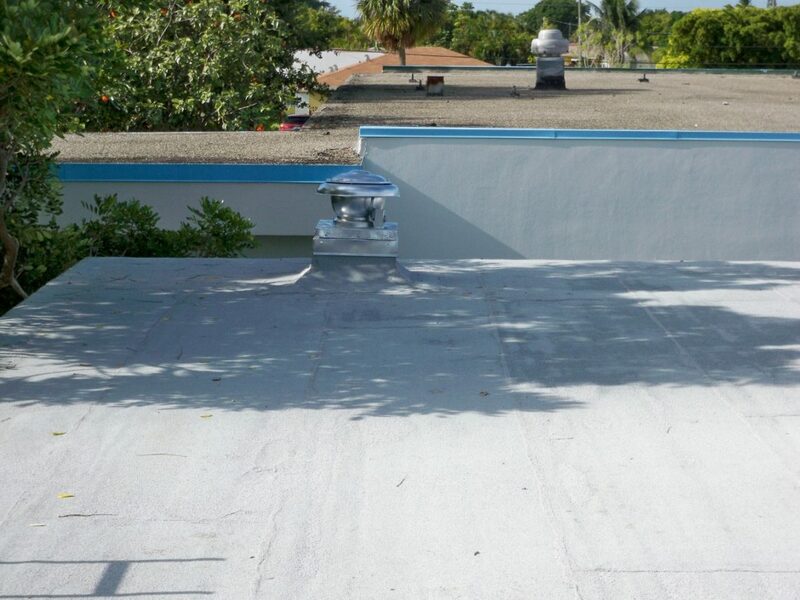 The project consisted of installing a Tapered SBS Modified Bitumen Roofing System, along with obtaining the necessary permits, engineering calculations, and fastening patterns. 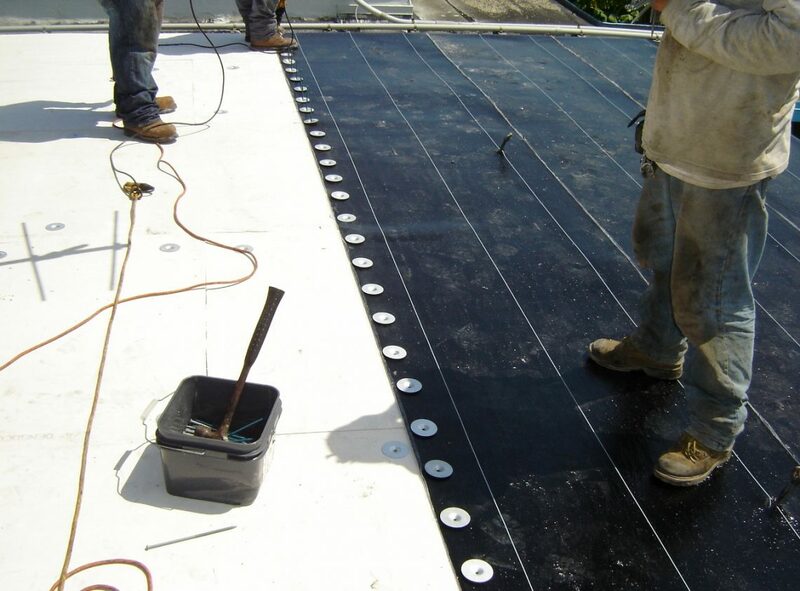 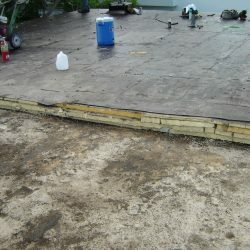 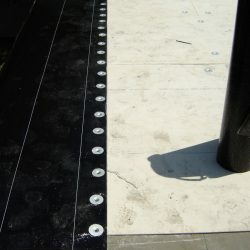 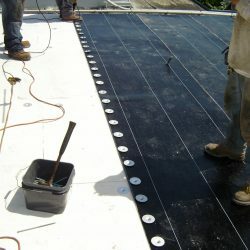 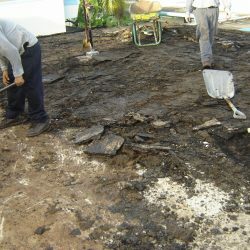 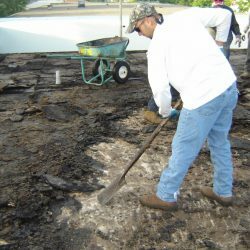 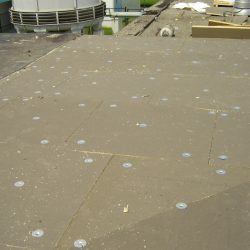 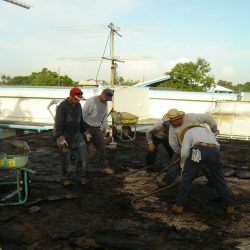 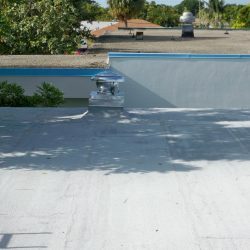 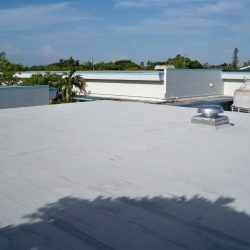 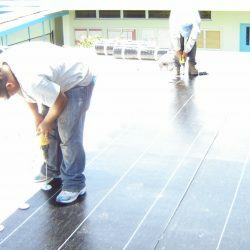 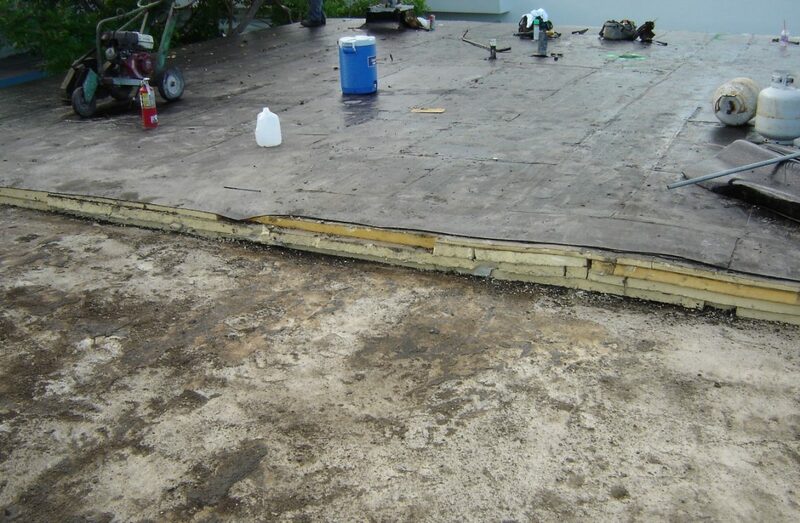 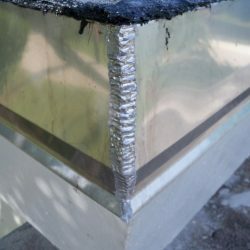 After approval, we had to remove all the existing coal-tar pitch built-up roofing system down to the lightweight insulating concrete, mechanically attached a tapered insulation to ensure adequate drainage, raise all curbs that were not code compliant, mechanically attached a dens-deck coverboard, and torch apply a 3-Ply Soprema Soprafix SBS Modified Roof System, and all sheet metal flashing was stainless steel. 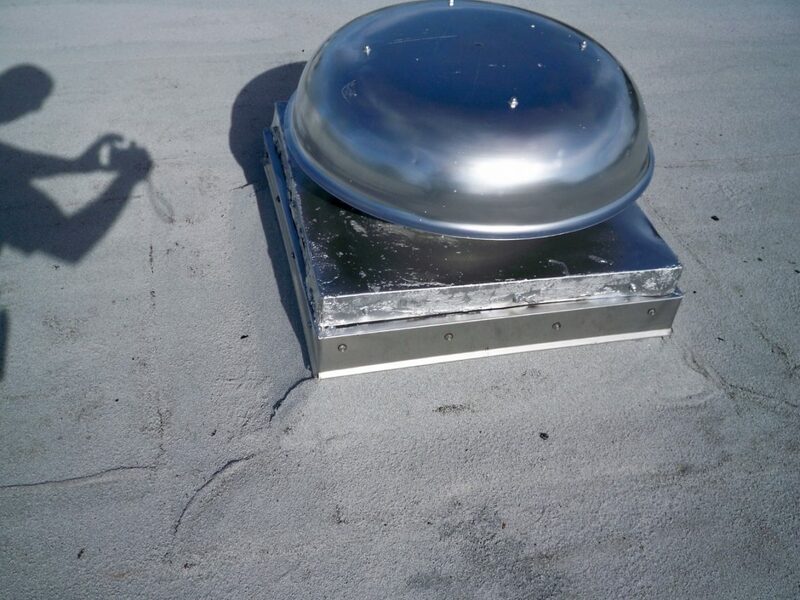 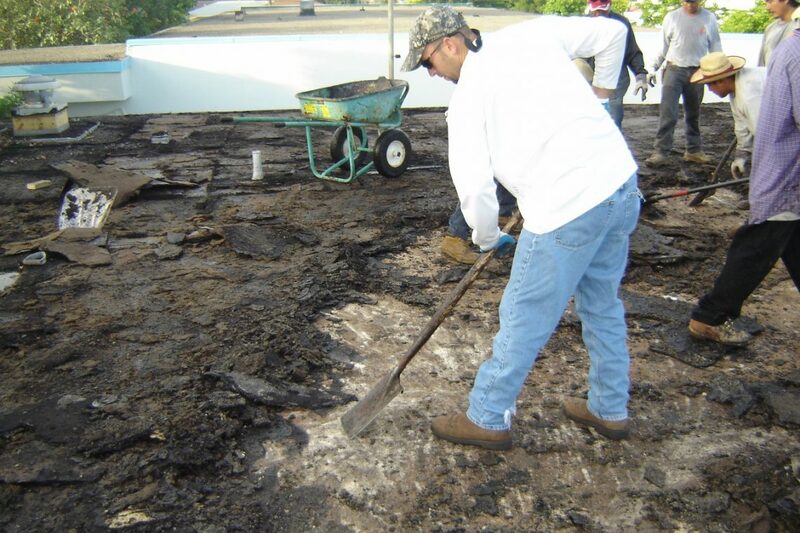 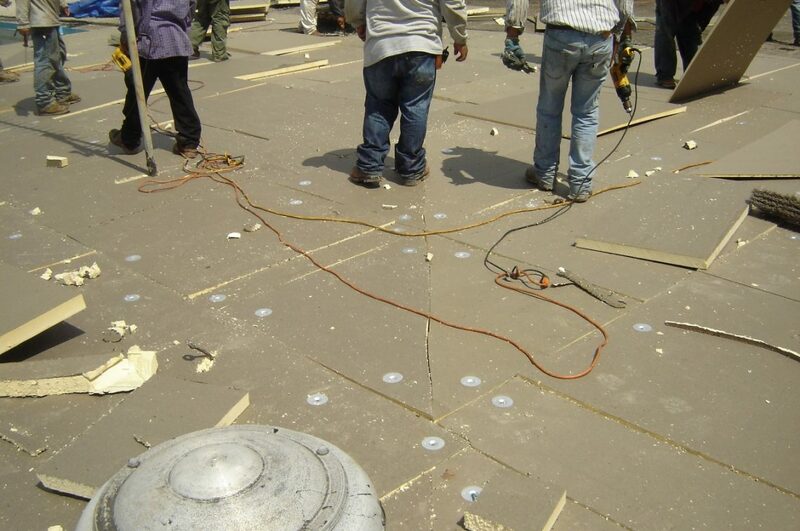 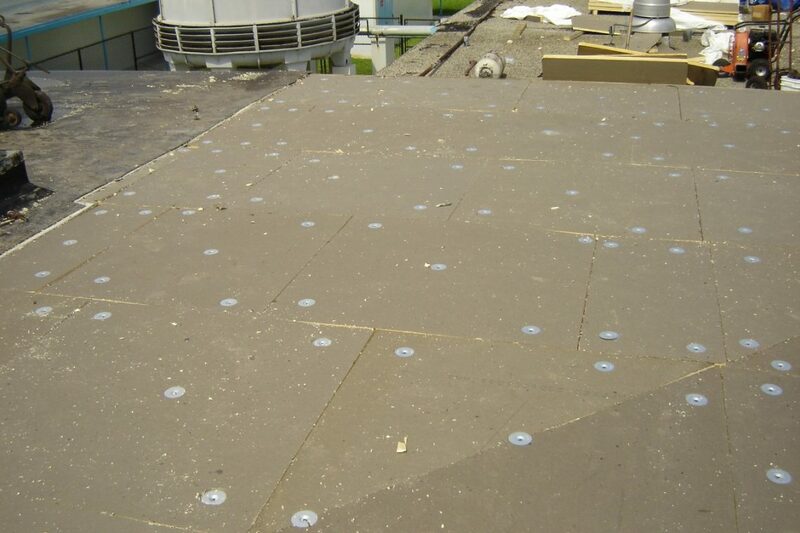 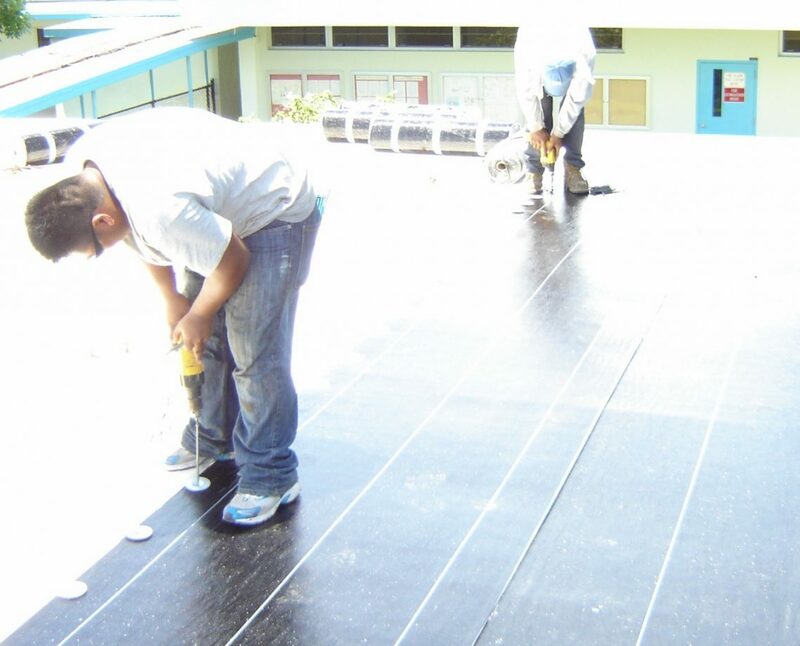 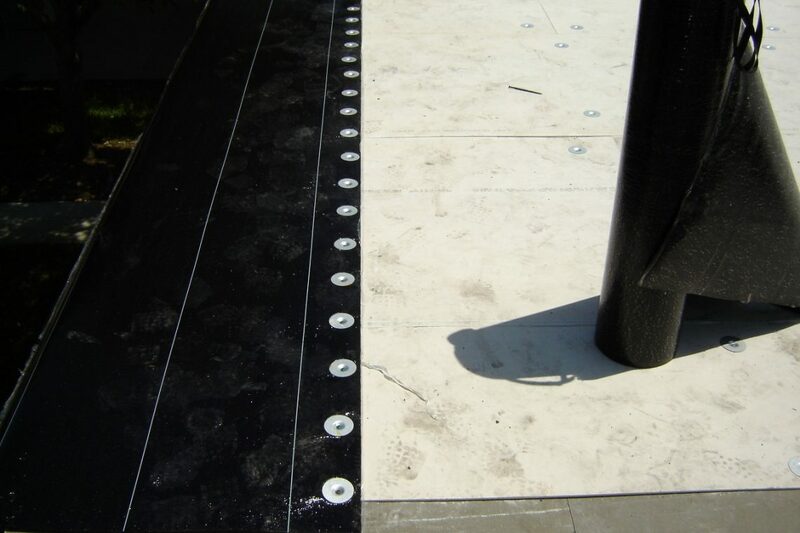 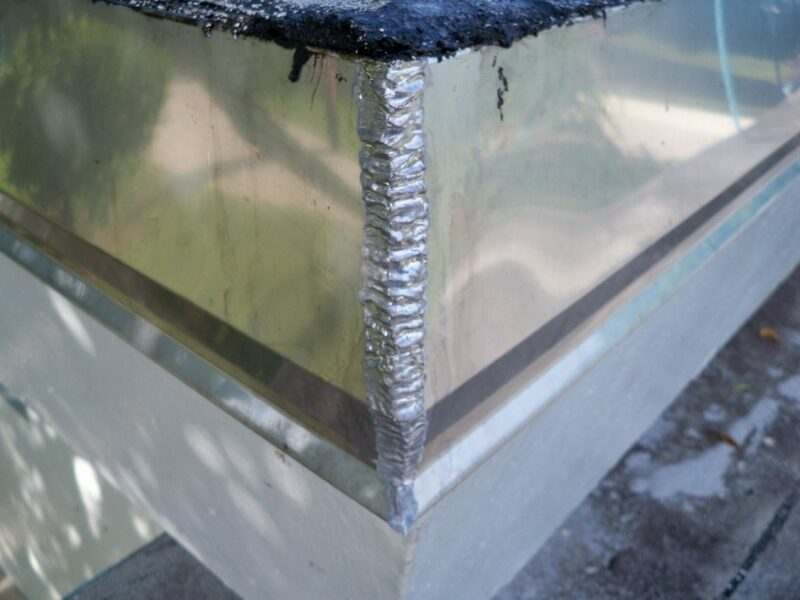 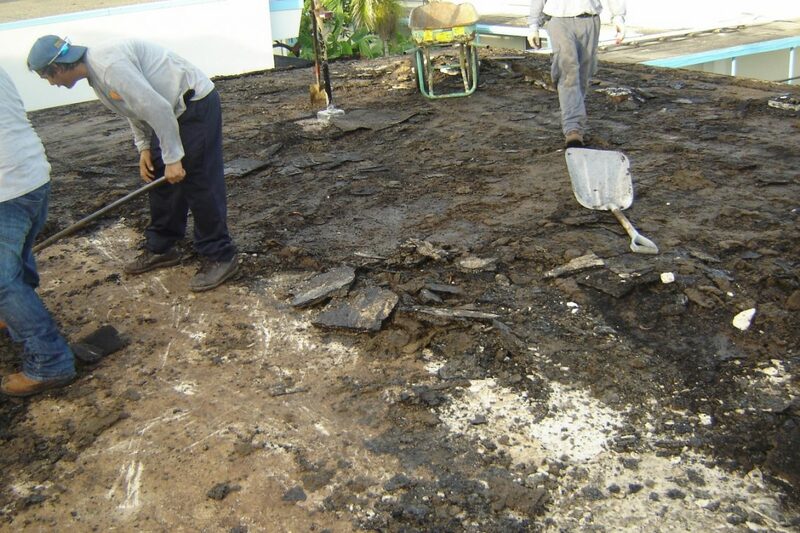 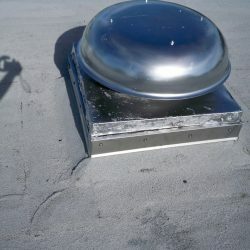 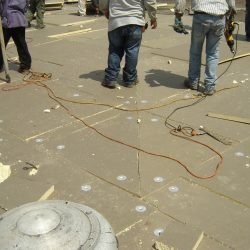 Special Challenge: This project had a coal-tar pitch roofing system present and our crew had to wear extra protection to ensure that they are affected by the “material”.